A major railway line between Scotland and England will reopen next week, following a seven week closure. Network Rail closed part of the West Coast Mainline after storm damage severely weakened a viaduct in South Lanarkshire. 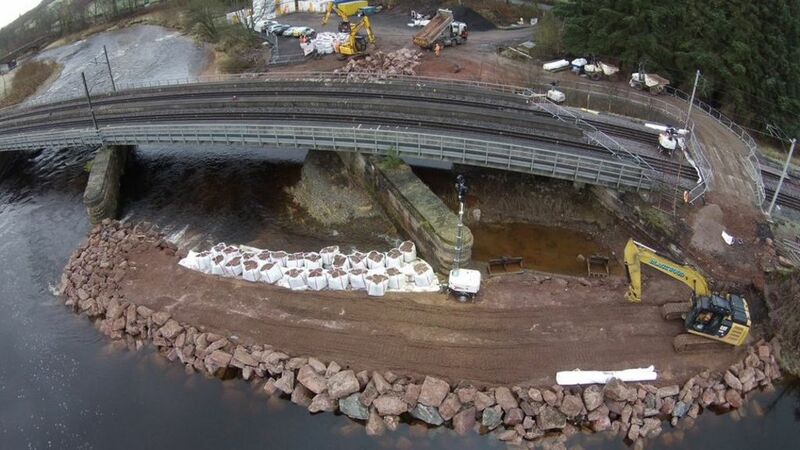 Part of the Lamington viaduct over the River Clyde was 'on the brink of failure', according to the ScotRail Alliance. They said train services will resume running over the bridge on 22 February. A major railway line between Scotland and England will reopen next week, following a seven week closure.